Softberry Mouse GenomeSequence Explorer allows visualization of many features, such as known and predicted genes, mRNAs, EST, promoters and many others, on large genomic sequence. 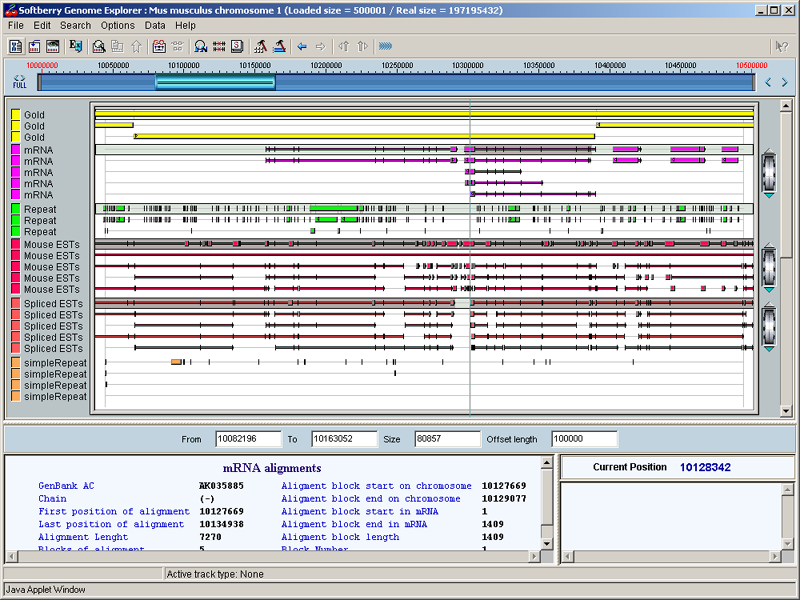 GenomeSequence Explorer includes genes predicted by Softberry's FGENESH++ program. GenomeSequence Explorer can be used to extract nucleotide and protein sequences of particular genes, functional sites and other features. These sequences can be viewed by right-clicking features of interest in Gene Explorer's main window.